Green Olive Tours Blog • Palestine • Israel: The Christian Zionist Movement - Friends or Enemies of Israel? 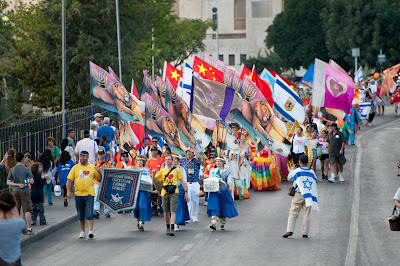 The Christian Zionist Movement - Friends or Enemies of Israel? As with most terms, the inflationary use of the word "Zionism" renders its actual meaning(s) more and more obscure. 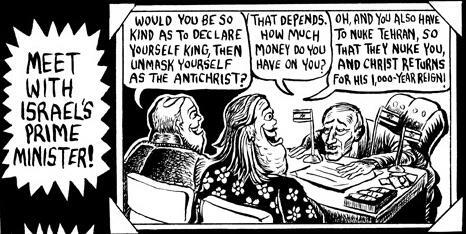 A good example for this is the surprise that the term "Christian Zionism" evokes: "How can Christians be Zionists?" "Don't you have to be a Jew in order to be a Zionist?". 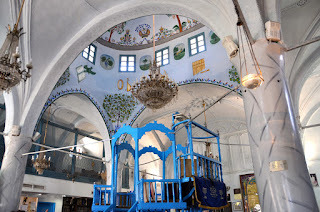 In another post on this blog, we already tried to clarify that, while originally theorised and supported by Jewish people, Zionism and Judaism are not necessarily linked. Many people with Jewish backgrounds are thus totally indifferent to Zionism, or do actively oppose it, and conversely, someone who supports the idea of a Jewish nation state does not necessarily have to be Jewish. In the following post we will take our inquiry into the term a bit further by focussing on some of the most fervent supporters of Zionism, who are actually Christian. What is now commonly termed as Christian Zionism is by no means a new phenomenon. Already during the nineteenth century, different groups, motivated by both geopolitical and religious reasons supported the idea of the establishment of a Jewish state in historic Palestine. Many so called Christian Restorationist groups in particular believed in the prophesy of the Bible that the return of the Jews to Judea constituted a necessary step towards the Second Coming of Christ. Once arrived in the Holy Land, Restorationists believe that the Jews would finally convert to Christianity, rebuild the Temple, which would in turn facilitate the return of Jesus. The creation of the Israeli state in 1948 further fuelled the rise of premillennial dispensationalism, a form of evangelical, futurist, biblical interpretation, which views the Book of Revelation not as an account of past events, but rather as a prediction of the future. As such, dispensationalists view the creation of the Jewish state as god revealing his will for the last days. Followers of this belief system typically view Jews as god's chosen people, notwithstanding the fact that they reject Jesus Christ as the promised messiah. 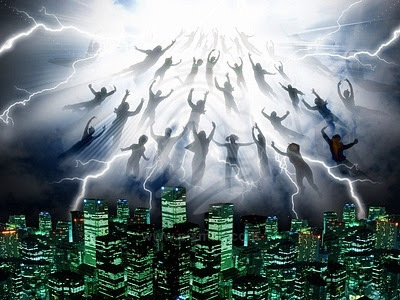 Although the majority of Jews will perish before the rupture, which is supposedly soon to come, a remnant within the nation of Israel will be born again and by the grace of god will be brought to realise that they crucified [sic] their messiah. Christian Zionism should be seen as the political mobilisation of variants of those sets of beliefs. One of the first Christian Zionists was William Hechler, a Restorationist Anglican clergyman, who became an enthusiastic supporter of Theodor Herzl and his idea to create a Jewish state in historic Palestine. Hechler befriended Herzl and promised him to mobilise Christian support for his cause and even managed to arrange a meeting between him and Kaiser Wilhelm II in order to discuss Herzl's proposal to establish a Jewish state. Hechler was named by Herzl himself as the "first Christian Zionist". Almost a century later, in 1979, Reverend Jerry Falwell, an influential evangelical fundamentalist and televangelist co-founded the Moral Majority, an organisation of conservative Christian political action committees, which mobilised people to register and vote for conservative candidates. With millions of members, the Moral Majority became one of the largest conservative lobby groups in the U.S. and has been credited for Ronald Reagans's victory in the elections of 1980. One of the founding principles of the Moral Majority has been stated as supporting Israel and Jewish people everywhere, which translates into protecting Israel above and beyond the normal U.S. foreign policy interests in the Middle East. Although the Moral Majority was formally disbanded in 1989, Falwell and others continued their support for Israel through volunteer work, political support and large scale financial assistance, which was mainly geared at helping poor Jews from all over the world to move to Israel. With regards to Israel, Christian Zionists typically support the hard line approach of expanding the Jewish presence into all of historic Judea; they therefore oppose any land negotiations or cessions within a framework for Israeli-Palestinian peace. After former Israeli Prime Minister Ariel Sharon fell ill only months after he carried out the disengagement from Gaza in 2005, Pat Robertson, a prominent and powerful U.S. Christian Zionist was quoted as saying that Sharon's sickness constituted a "divine retribution for giving up part of biblical Israel." In response to the 2005 disengagement, Christians United for Israel (CUFI) was founded, which is often seen as the evangelical Christian equivalent of the American Israel Public Affairs Committee (AIPAC), a comparison that is however questionable if we look at the religious underpinnings of the CUFI. The CUFI supports and lobbies for other U.S. foreign interventions, which they see as fitting the prophecy of bringing about a total global conflict of evil versus good, which will eventually lead to Armageddon. Unsurprisingly, the "evil" is usually associated with Islam and Muslim majority countries, which undoubtedly contributed to the rise of Islamophobia in the U.S.. On the topic of Iran, Pastor John Hagee, the head of the CUFI was quoted as saying: “The United States must join Israel in a pre-emptive military strike against Iran to fulfil God’s plan for both Israel and the West… a biblically prophesied end-time confrontation with Iran, which will lead to the Rapture, Tribulation, and Second Coming of Christ." Christian Zionists are thus promoting and lobbying for a U.S. foreign policy based on a highly controversial interpretation of the bible. 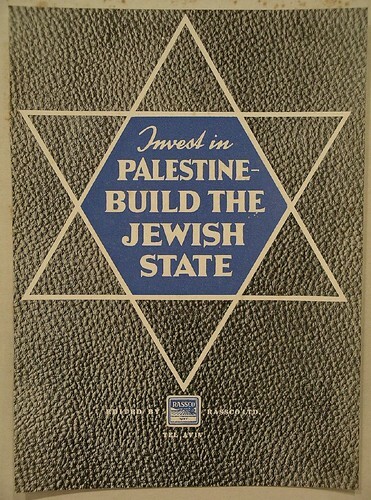 While many Jews and Christians fiercely criticise and actively oppose groups, such as the CUFI, many (non-religious) conservative politicians in the U.S., as well as the Israeli government itself, did not hesitate to identify the advantages deriving from the union with groups, whose aim is to eventually bring about the end of the world. I generally l;ike your approach of openness and discussion, seeking connection between Jews and Palestinians instead of conflict. The article above has several good things but also several misinterpretations, especially about the intentons of Christians supporting Israel. The cartoon is quite ugly and reeks of anti-Semitism and demonisation. I would say: that is not like you! Marc - The cartoon merely makes fun of the fact that the Israeli government and Jewish institutions often court Christian Zionists to solicit funding for right wing Israeli political activities, often in support of the settlements. In return the funders believe they are facilitating the Second Coming . . . . The article doesn't claim that all Christian support of Israel is rooted in End-Times theology. However even many Zionist Jews have a profound suspicion of any support of Israel based on Christian theological foundations. After all, the common goal of most Christian supporters is to pray for the conversion to Christianity of as many Jews as possible. Sorry, but we are not interested. Better to support Palestine/Israel through promotion of democratic and human rights reforms, and an end to the subjugation of one people by another. Does this make sense to anyone else. I can't quite figure out if this post is serious or not? ?